1,350 ± sq. ft. 1-level home with 4 bedrooms, 2 baths, laundry, and 2-car driveway. Located in the established neighborhood of Washington Park. SINGLE FAMILY HOME Per the stated Terms of Sale, this property is sold AS IS WHERE IS. 1,350 ± sq. ft. 1 -level home with 4 bedrooms, 2 baths, kitchen, living room, dining room, and laundry. The property has an enclosed rear porch with storage and 2-car driveway. It is located in the established area of Washington Park. 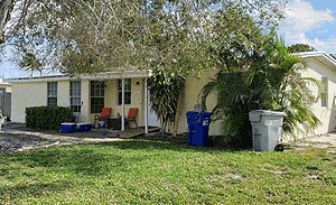 Auction will be held at the Greater Ft. Lauderdale/Broward County Convention Center, 1950 Eisenhower Blvd, Ft. Lauderdale, FL 33316 along with 7 other properties. Click to view the auction order flyer.